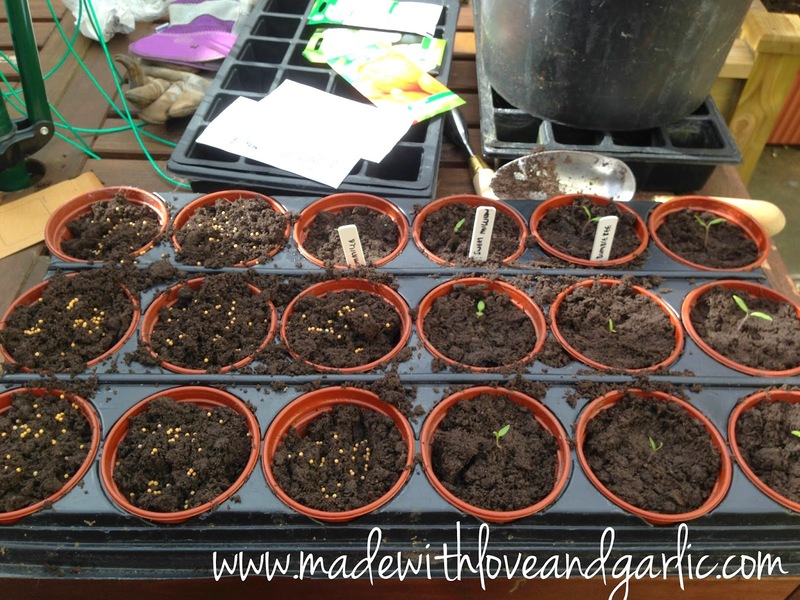 Once the first flurry of joyous seed sowing starts, I find that things quickly settle down to a comfortable rhythm of sowing and potting on. So it was with a big smile on my face that I proceeded to move the first of my tiny sprouts into small pots on the weekend. I think that my “Corno di toro rosso” sweet pepper seeds have failed as they’ve all failed to germinate but thankfully I’ve got several other varieties I’ll be using as backups. Along with the tomatillo seeds, the “bumblebee” and “sweet million” tomatoes are thriving so here they are in their new homes. It’s difficult to describe the pleasure that a small tray of seedlings can engender in me but I will admit to a real fondness for them. 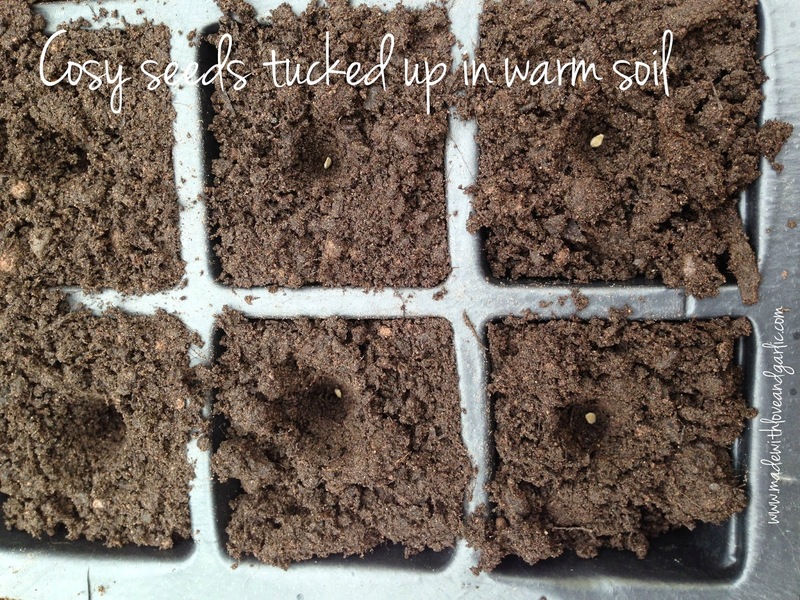 I have been known to coo over them as I move them into their new cosy soil beds in little pots. I know that it’s weird, but I’ve always felt like I’m tucking them in, in the same way that planting the seeds in the first place feels like I’m almost affectionately helping them to grow. I don’t anthropomorphise my plants, although I do tend to natter away at them, but in this one instance, I feel very involved in them! Anyway, hurrah, small pots are finally going into production!